Programs at St. Gallen – E.M.B.L. More Discussions About St. Gallen – E.M.B.L. News About St. Gallen – E.M.B.L. 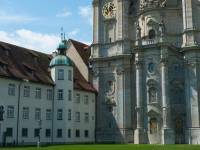 Show More LLM News About St. Gallen – E.M.B.L. Show More Articles Related to St. Gallen – E.M.B.L. Application Tracker - St. Gallen – E.M.B.L. Photos of St. Gallen – E.M.B.L. There are no photos of Universität St. Gallen.